It is important to note that not all audits are done face-to-face; in fact, the majority of IRS audits are correspondence audits, done through the mail. Even if you have not been selected for a face-to-face audit, audit representations by Top Tax Defenders help you assure that you are filling out additional paperwork completely and correctly, an important step to the audit process. While only about one percent of taxpayers are audited per year, you may find yourself in that minority. Instead of going through the stressful process of an IRS audit alone, seek audit representation from an experienced tax firm. 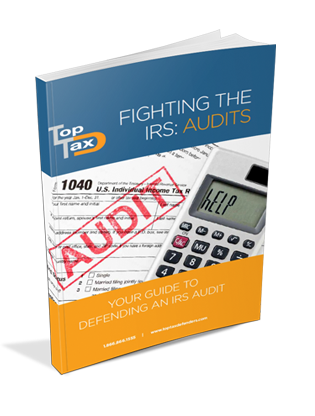 Top Tax Defenders has 27 years of experience with the IRS, and knows what to expect from an audit. Received an IRS audit letter? Our eBook details how to represent yourself in the face of an audit.